Good morning, and Happy New Year! We’re back from our holiday hiatus! New fellow applications for the 2013 Kundiman retreat are now open, until February 1st. This year’s retreat will take place from June 19–23 at Fordham University, and its star-studded faculty lineup will feature Li-Young Lee, Srikanth Reddy, and Lee Ann Roripaugh. Why should you apply? Well, because the retreat is an experience like no other for anyone who considers themselves an Asian American poet. (And who wouldn’t want to chance to work with Li-Young Lee or Srikanth Reddy?) To learn more about the application process, visit the Kundiman web site. (And if you’d like to read some firsthand accounts of what the retreat’s like, you can read about Henry’s and my first experiences there in this 2011 post). 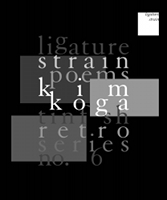 We recently learned that Issue 3 contributor (and guest reviewer) Eugenia Leigh will succeed Issue 2 contributor Kenji C. Liu as poetry editor of Kartika Review after the latter’s having stepped down from the position late last fall. To Eugenia: our congratulations on the new position—we are excited to see where you will be taking KR next; and to Kenji: cheers on a job well done, and best of luck with all of your future endeavors. Issue 1 contributor Desmond Kon recently launched two lines of literary art “objects”: Madding Mission Journals and ECRITUREartefacts. I’ve long been a fan of Desmond’s hand-lettered art as well as of his poetry, and both of these collections of goods, which feature stylish typography, quirky poem-snippets, and the occasional cheeky illustration (like a mug featuring a bar of soap, a lemon, and a high-heeled shoe), feature both of his talents to full effect. Congrats to Desmond on this new and exciting venture. 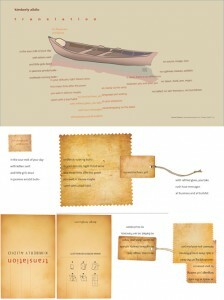 Check out his line of blank journals here, and his shop of other literary goods here. That’s all the news we have for you this morning. 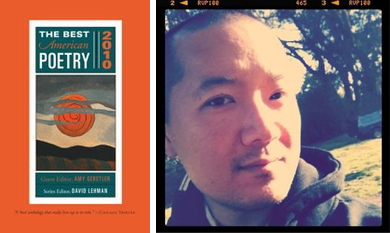 Regular content on the blog will resume later this week; check back on Wednesday for our first contributor post of the New Year, in which Wendy Chin-Tanner interviews Lao American poet (and Issue 4 contributor) Bryan Thao Worra. 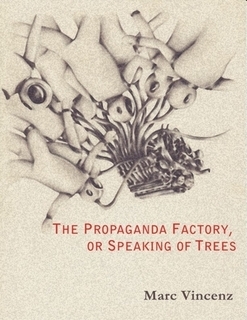 Welcome to our Summer Reads 2011 blog series! Throughout the months of July and August, we will be featuring recommended reading lists submitted by Lantern Review contributors who want to share books they plan to read this summer and titles they want to suggest to the wider LR community. 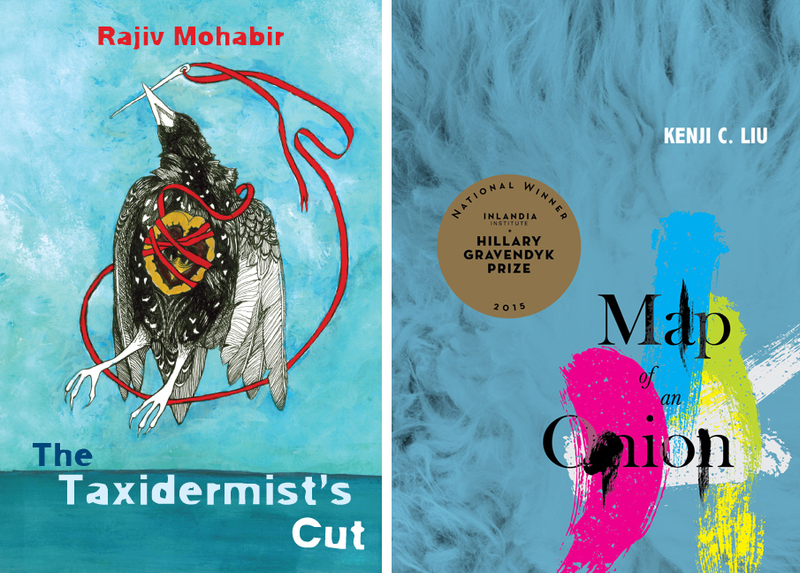 This post is a triple feature and includes reads from Issue 2 contributors Michelle Peñaloza, Kenji C. Liu and Gowri Koneswaran. Kenji is a 1.5-generation immigrant from New Jersey. His poetry chapbook You Left Without Your Shoes (Finishing Line Press, 2009) was nominated for a 2009 California Book Award. His writing has appeared in or is forthcoming from Tea Party Magazine (not related to the conservative movement), Kartika Review, Flick of My Tongue (KSW, 2009), and Kweli Journal. He has received a Pushcart nomination and is working on a multi-genre full-length collection of poetry, prose and visual art. 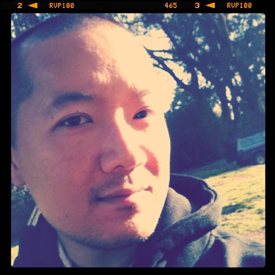 Kenji is currently the poetry editor at Kartika Review. 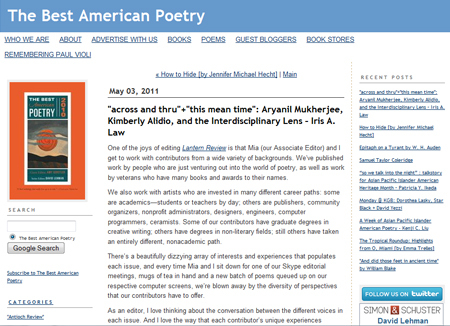 For APIA Heritage Month 2011, we are revisiting our Process Profile series, in which contemporary Asian American poets discuss their craft, focusing on their process for a single poem from inception to publication. This year, we’ve asked several Lantern Review contributors whose work gestures back toward history or legacy to discuss pieces of theirs that we have published. In this installment, Kenji C. Liu discusses his poem “A Son Writes Back,” which appeared in Lantern Review Issue 2. Somebody’s calligraphy hung on the wall in the house I grew up in. I saw it every day. In my late twenties, on a visit back home, I asked my father about it. It was a poem written by my ancestor Guang-Chuon Gong almost eight centuries ago—advice to the Liu family. The qilu is a classic Chinese form consisting of eight lines of seven characters each. I took my father’s translation and adjusted it to eight lines of seven syllables each. My responses to Gong follow this adjusted form. “A Son Writes Back” is one of several poems that has developed out of a challenge I put to myself years ago—to write about gender, specifically male privilege and patriarchy. This grew out of my community activism and graduate studies. In this poem I am attempting to dig into some of what I have learned and internalized about gender. The original qilu speaks to, among other things, the importance of filial piety, and encourages the males in our family to prosper together. (I also find it fascinating that the original qilu implicitly acknowledges that our family would make foreign lands home.) In my responses, I am attempting to juxtapose eight hundred years of differences in perspective about gender roles. For example, Gong tells us “foreign lands will become home”, and later, “young men, prosper together.” In my response, I bring up the story of our family’s migration from China to Taiwan, engraved in stone at our ancestor temple. It reveals who is apparently important in this crossing. The generational count on the altar starts with the sons, not the mother who carried them over. This is why I use the pinyin for both mother and horse. As an Asian American man, I can not assume that Confucian patriarchy is something left behind in Asia, because I see it at work in my own family and communities. I wonder how it influences my life, and so I write. Stay on course crossing borders. foreign lands will become home. Heaven bless the Liu household. borders. Eight hundred sun turns. landed two boys in Taiwan. From “A Son Writes Back” | Kenji C. Liu | Issue 2, Lantern Review | pp 3-4.